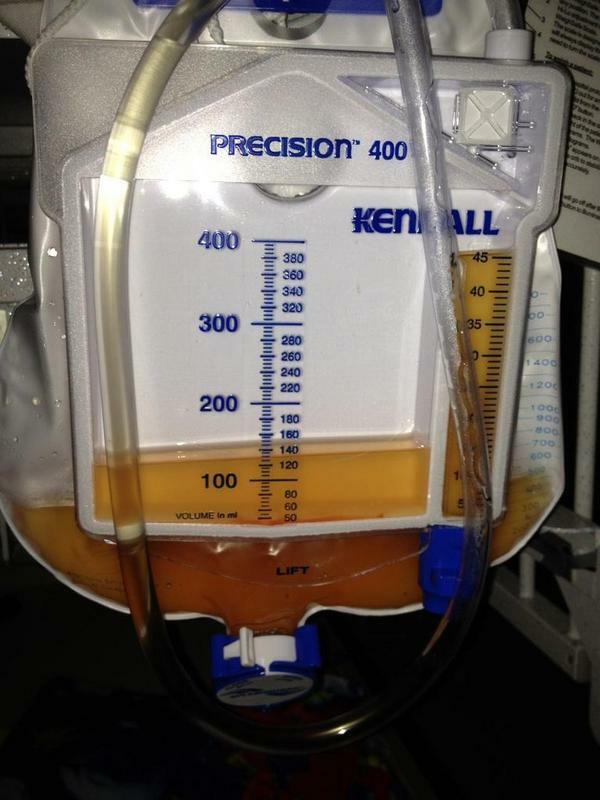 On Thursday, UFC fighter Dan Miller and wife Kristin received the best possible gift imaginable … urine. That’s because the golden fluid was the first indicator that Daniel’s kidney transplant was a success. Baby Miller was born with Polycystic Kidney Disease (PKD), which is a genetic disorder that causes multiple cysts to develop on the kidneys in groups. As the cysts develop they begin to inhibit kidney function causing diminished production or potentially complete renal failure. 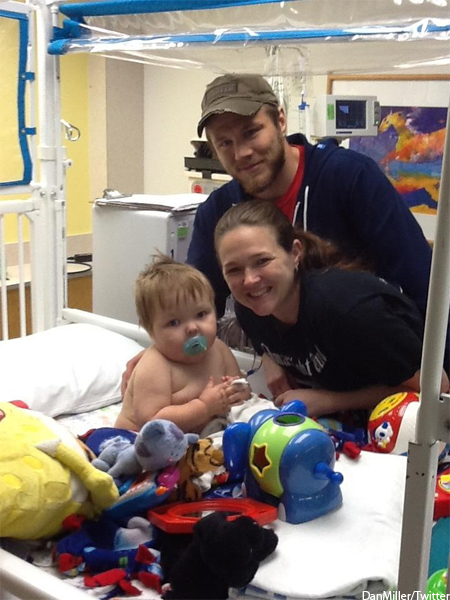 Daniel’s aunt was generous enough to donate her kidney for the procedure. “Surgery went well today, never thought I’d be so happy to see some pee!” the proud poppa posted. Dan wasn’t the only one thrilled to witness urination. Dan’s brother and fellow UFC star, Jim, couldn’t help but boast about his nephew’s ability to go #1. The Millers may have cleared a monumental hurdle yesterday, but they still face a long road ahead. If you would like to hear more about Daniel’s story or make a financial donation to help medical costs, please click HERE.